It's a Mom Thing Reviews & More! : Enter to Win a ZumZum Balance Bike! 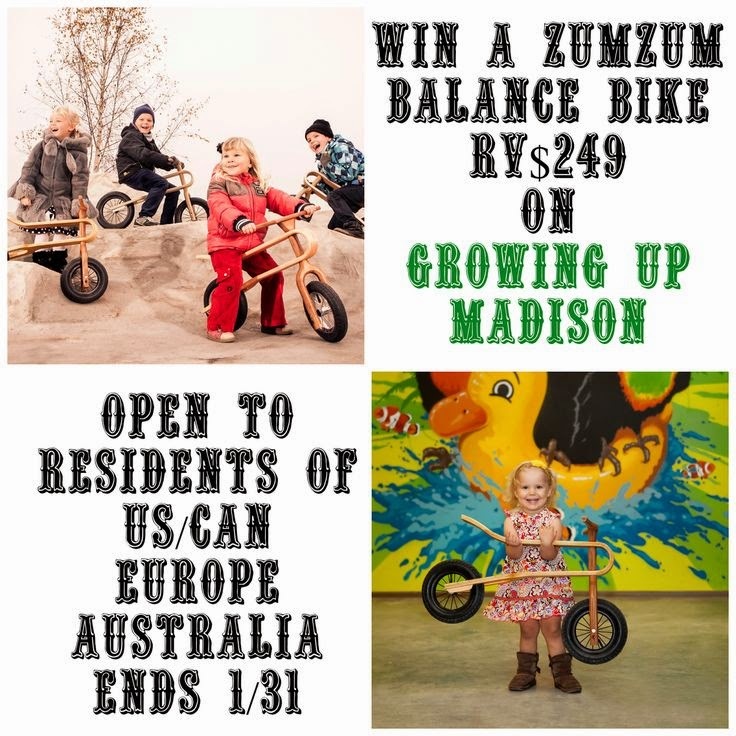 Enter to Win a ZumZum Balance Bike! Madison of Growing Up Madison is turning three this week and one way she is celebrating is by giving one of her readers a ZumZum Balance Bike! 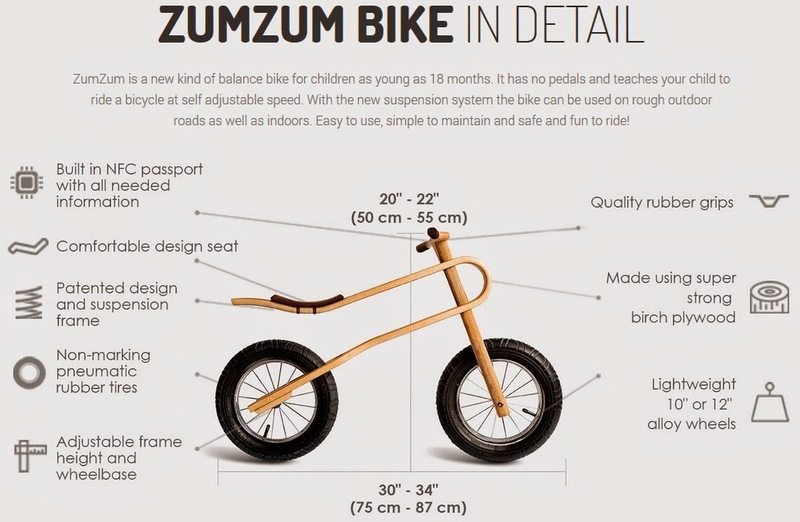 The ZumZum is unlike any other balance bike! You can see some of the details in the photo below! Your little one will love this balance bike! Enter below and be sure to share this awesome giveaway with your friends! Its a cool bike my lil guys would be the envy of all his friends !!!!! !